100% hand made with high quality. 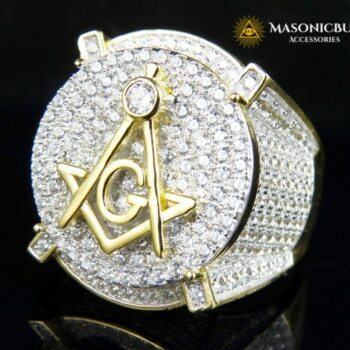 The whole surface of the ring is covered with small lab diamonds. NB!! 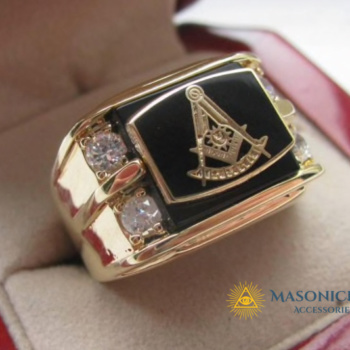 The same ring, but 18K Yellow Gold Filled, is here! Very happy with this purchase. 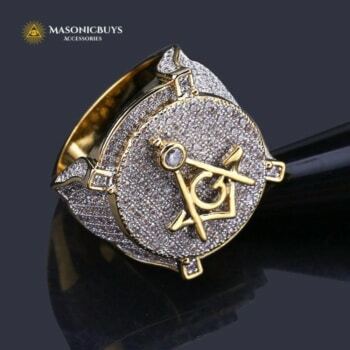 Ring has tiny jewels that glitters and the masonic symbol is also prominent. I ordered size 8 and it is exactly size 8. 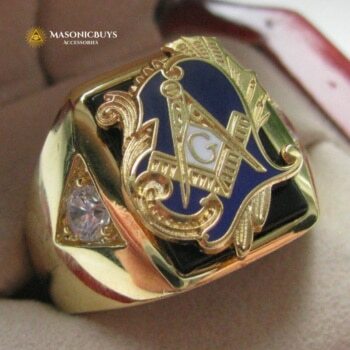 Ring looks attractive and expensive as well.